Want something that can be shared by an office or family? 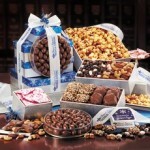 Food gifts are a great way to thank your clients and customers at holiday time. Fresh made and packed when ordered, these gifts arrive safely to your destination (your address or we can drop ship for a little bit more), you have the ability to choose what fill goes in the packages from delightful chocolate covered almonds, crunchy fresh toffee, yummy coated pretzels, spicey nuts, heavenly jumbo cashews and more! Packaged in wooden crates, imprinted boxes, stacked in towers with logo imprinted on items or ribbons, your logo can be there, not a retail store’s name or logo. 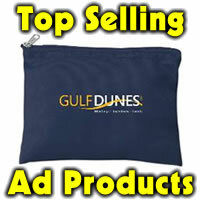 Lots of items can fit on a desk such as coasters or business card holder or set on a display. Show your customers and clients how much they mean to you and shop from the convenience of your office. No malls to visit and you can choose when they ship and arrive. 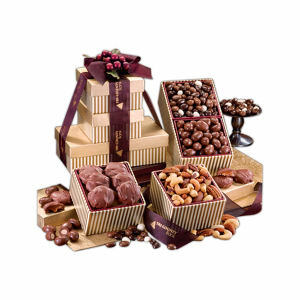 Chocolate Covered Almonds, 11 oz. 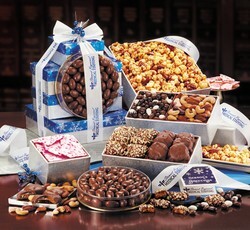 Pecan Turtles, 6 oz., , English Butter Toffee, 5 oz., Fresh-Roasted Deluxe Mixed Nuts, 5 oz., , Peppermint Bark, 5 oz., Chocolate Covered Raisins, 1?2 lb., Almond Pecan Honey Corn, 3?4 lb.